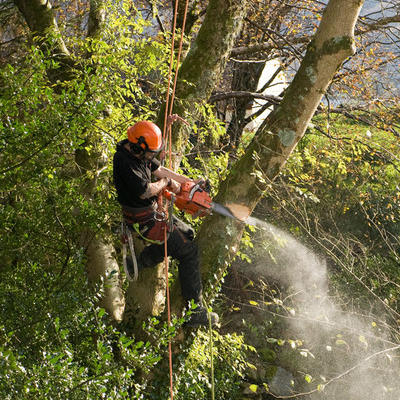 Tree elimination is definitely our most widely asked for service. It is without a doubt also the most complex and substantial service in which we do. Getting rid of trees is actually not exceedingly complicated, however, it does require experience, expertise, and equipment. Birmingham Tree Service has been taking down trees since 1999 - our company has taken down practically every single type of tree local to the Southeast. We have likewise taken down every sized tree, from small 15-20-year-olds to ancient ones in excess of one hundred and fifty years old. While tree removal is unfortunate, there are many reasons that justify the need to cut a tree down. These include: dying or dead tree; causing issues in your landscape, such as creating too much shade for grass to growth; or, planted to close to your home and creating a hazard. On the morning of your scheduled tree removal, a Birmingham Tree Service customer service rep will get in touch with you to confirm the time our team will be at your property. We give our clients a one-hour time of arrival window - we could be a little late or even early as a result of ensuring our previous client is completely satisfied. Our tree removal activity commences with the team supervisor appointing team members for the required tasks: ground-service, clean-up, chipper, lead cuter, and branch cutter(s). As the work commences, our team will cut the tree starting off with the crown and working our way down. 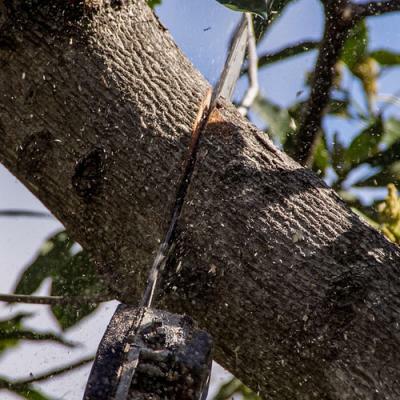 No matter if we use heavy machinery or climb up the tree, we will cut the tree limb by limb, lowering each branch carefully to the ground where our team will cut it into manageable pieces. We provide our clients a promise to cut each branch or limb into 3-foot logs, making for easy splitting. We will carry on down from the top till we are left with only the primary trunk in about a ten to fifteen-foot length. 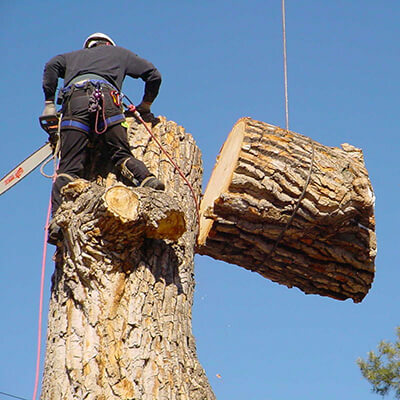 We conclude the tree removal procedure by cutting this trunk section off at a level ideal for grinding; or, we can cut it to any level you indicate. During the course of the procedure, our crew will always keep the area devoid of tree limbs, branches, and other tree clutter. When the tree has been cut down to simply the stump, you can opt to have the stump dug up or ground. If you elect to have the stump ground, we will reduce it as close to the soil as feasible to more conveniently facilitate removing it. This will certainly make it easy for one of our stump grinders to start the grind. We will remove all the wood or we can pile it in a place of your choice. The tree elimination procedure ends with our ground crew raking the nearby area of smaller branches and additional tree fragments.